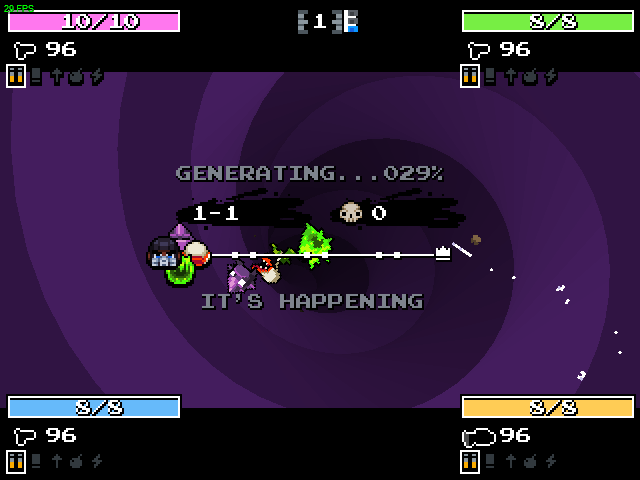 Perhaps the most important addition in this update is 4-player support. The game now allows to play with up to 4 players locally and online (including with multiple local players per computer). 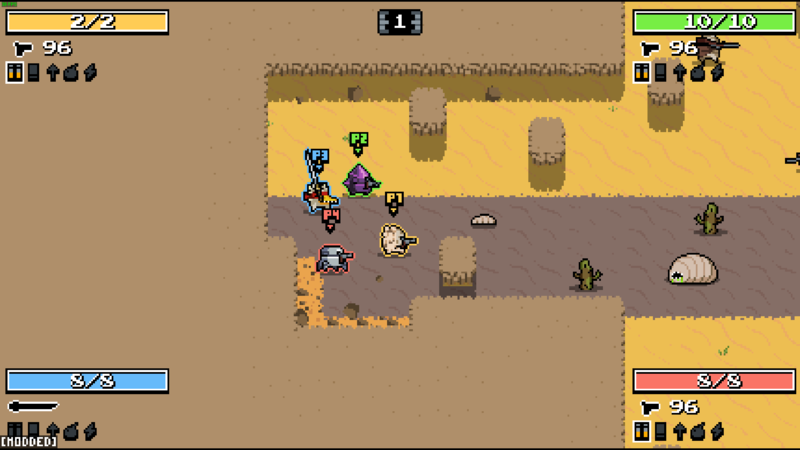 While Nuclear Throne was not designed with 4P support in mind and the difficulty does not scale incredibly well for it, it is incredibly satisfying to have 2x2 PvP sessions or take attempts at beating the game after piling a few difficulty-increasing mods on it. Reading the above, you might be wondering how the game looks with 4 local players running around. A short answer would be "not too good", as the viewport size clearly was not intended for following more than two players at once, and that likely greatly contributed why the idea of 4P support was dropped early in development for the original game. But there's a thing - after performing a number of adjustments, I was able to allow to dynamically adjust the game's screen size. This allows to scale the game for a FullHD screen by just doing `/gml game_set_size(426, 240)`. Mods can also make use of the function, allowing for a variety of previously problematic applications. Good documentation on how everything works (or can be fixed when it does not work) becomes an increasingly important thing when you have over a decade of various "troubleshooting" descriptions, over half of hundred chat commands, and over half of thousand of different functions and variables that can be used in modding. While modding-related matters quickly got an entire wiki dedicated to them, the rest remained in their original (text document) format, getting increasingly more problematic to navigate as new entries were being added. Since a point was reached where multiple questions on FAQ topic were already covered in the same topic, I decided to take care of the matter. The result is a compact FAQ page (web-based; a copy included in the download) with foldable sections covering pretty much all existing questions and chat commands. Based on past experience, I believe that this is about the best format for a thing like this. Historically, GOG players were left out of some fun, including NTT's online multiplayer, and, since recently, modding tools. 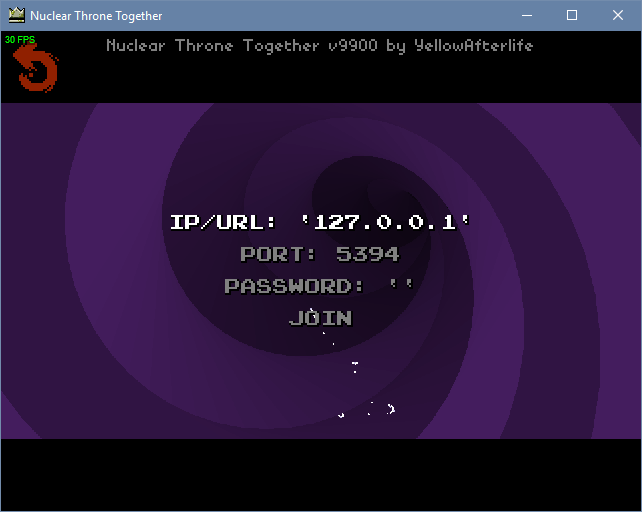 This changes now - starting with v9900, NTT works with DRM-free versions (GOG/Humble/Twitch), and you can connect-by-IP for online play. This also means that you can have LAN sessions without having to convince Steam to notice that there's a direct network connection. See the FAQ for more information on the feature. The final large addition is skin mod support. While you could make custom character skins since introduction of spritemods, they could only replace the existing skins of built-in characters, and were limited in function. 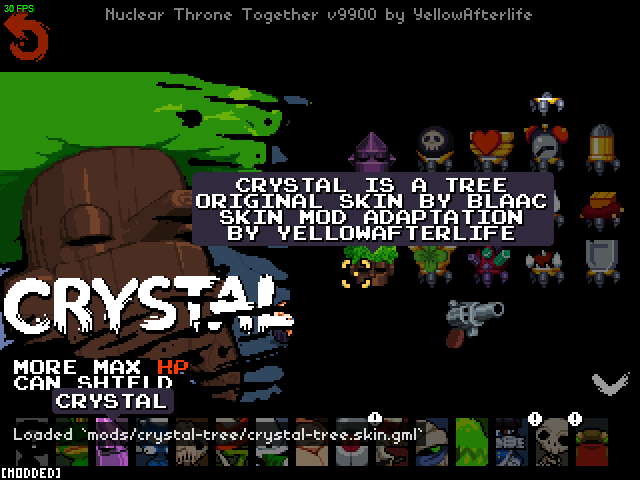 Now you can introduce additional skins to both built-in and custom characters via a new mod type, and can define custom logic for them for custom effects (such as leaf particles in the case of the demonstrated Crystal skin by blaac). Skins are treated much like the included ones, appear in UI, and can be chosen in multiplayer (meaning that you can have 4 players all play different-looking versions of the same character). Smaller changes scripting API additions, performance improvements, and countless bug fixes. The complete list can be found in NTT-ChangeLog.txt (included in the download), and spans over 200 items since the last version. The new 4 player feature is beyond cool. I hadn't donated yet, but I did today. Thanks for your efforts! Hey could i have a download link for the tree crystal? It's linked on the bottom of wiki page on making custom skins as an example. Be kind and read the FAQ.